VT tour 88 is costlier as compared to Vt 7. Weight of Tour 88 is 89 gms while Weight of Yonex Voltric 7 is 83 gms , so Vt 7 is lighter as compare to tour 88. Tour 88 is made is japan racket. So player who love to play with Made in Japan racket will definitely select the Tour 88. Both the racket are made of improved graphite material. Voltric Tour 88 shaft is stiff in nature so it gives better flex and accuracy in shot placement. Yonex Voltric Tour 88 badminton racket is designed and developed in Japan with precision manufacturing technique of Yonex factory. Yonex Voltric Tour 88 Badminton Racket is newly added racket in Year 2014 by YONEX. Tour 88 Racket uses new and enhanced tri voltage system which gives powerfully racket shots and lightening fast drive shots. With improved material technology in racket shaft, Voltric tour 55 will provide you optimized racket repulsion needed for control play. As it is head heavy racket balance, you will get more power on shots and you will feel it when you hit the shuttle from 3rd line to 3rd line while due to its improve tri voltage system and aerodynamic frame design, you will get fast racket swing for quick rallies. Overall, Voltric Tour 55 is a power Yonex racket for aggressive players. Both the rackets are good and best suited for intermediate badminton players however following key points are very important to find out the difference. Yonex Voltric 5 is head heavy racket which gives immense power on badminton shots. Due to its head heavy nature , Vt 5 gives better momentum when player hit shuttle. Vt 5 is best suited for attacking time of game. Vt 5 is equipped with Tri Voltage System which gives fast racket swing also. VT 5 is full graphite racket. Yonex Muscle power 29 lite is suitable for all round type of game. MP 29 is equipped with muscle power frame which give better power on shots even if shuttle hits off center to string bed. MP 29 is light weight racket suitable for all round type of game. This racket is top selling racket in complete Yonex Racket range. Known for its lightweight racket handling and easy control, MP 29 will provide you superb power on shots and player can effectively place the shots from 3rd line and dominate in the rallies with powerful smashes. Yonex Muscle Power 29 Light is manufactured with High Modulus Graphite which gives better strength and optimum racket flex. Racket shaft is also made on graphite which helps in effective racket repulsion. With 85 Gms racket weight and Isometric racket head shape, player will get best in class racket feel. Both the rackets are almost same expect one difference .i.e its weight. 1. Both the rackets are made of H.M. Graphite, Tungsten frame and Graphite shaft. 4. Both the rackets are equipped with Improved Tri Voltage system which gives better racket power and swing speed together. But the main different in racket are its weight. Yonex Vt 7 is lightweight racket (85 Gms) While Yonex Vt 5 weigh is around 89 gms. So badminton players who want to play with light weight racket should pick up the Yonex Voltric 7. YONEX Voltric 7 is developed with latest racket design and suitable for intermediate to Advance Badminton players. It is a head heavy balanced racket with improved tri voltage system. Its frame material is H.M Graphite. HM Graphite is strong material and offers good stiffness & bending strength. Racket weight is around 83 Gms. Yonex badminton shoes are considered as best in class badminton shoes for professional, advance and amateur players. With innovative technologies, cushion and material technologies, YONEX produces best in class badminton footwear’s for all type of game play. YONEX introduces, latest Tru CUSHION SRCR 40 LD model for professional player. Apart from its innovative design features, this model is manufactured with cutting edge technologies. This models in available in 5 different variants (All Five variants are available on Khelmart.com). Yonex Mavis 350 – Feather Like PerformanceYonex Mavis 350 is all time hit Nylon shuttlecock for practise session as its provide close to feather like shuttle performance. Mavis 350 gives very consist performance to badminton players. Each shuttle is tested by Yonex quality team with high quality standard so that player can get best performance every time on court. As claimed by Yonex , mavis 350 is 5 time durable as compare to other brand Nylon shuttles. Recovery time of Nylon Shuttle is very important as its decide the performance of shuttle.Quick recovery time gives better flight , opportunity to hit proper shots. Yonex mavis 350 gives recovery time of .02 Seconds. This time is .008 Second faster than other brand Nylon shuttles and .005 second slower than Yonex feather shuttle. 1. Mavis 350 red is fast shuttlecock which is developed for 0 Degree Centigrade to 13 Degree Centigrade Temperature. 2. Mavis 350 blue is medium speed shuttlecock which is developed for 12 Degree Centigrade to 23 Degree Centigrade Temperature. 3. Mavis 350 green is slow speed shuttlecock which is developed for 22 Degree Centigrade to 33 Degree Centigrade Temperature. Mavis 350 gives better flight pattern as compare to other brands nylon shuttlecock. Yonex Aerosensa Shuttlecocks are officially recognized shuttle for international tournaments around the globe. These shuttles are first choice as feather shuttlecock for all type of tournaments. 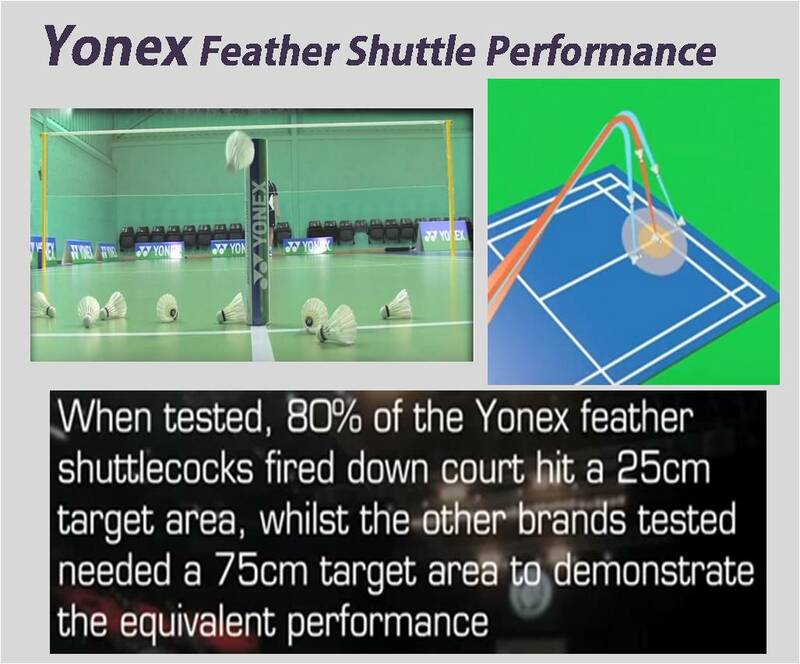 Yonex used precision engineering process to develop shuttle so that badminton players get best quality shuttle every time. Each box of Yonex feather shuttle is equipped with 12 shuttles.These shuttles are made of high quality goose feather which gives superb flight and speed in different environmental conditions. Shuttle head is made of 100% cork material. 1. 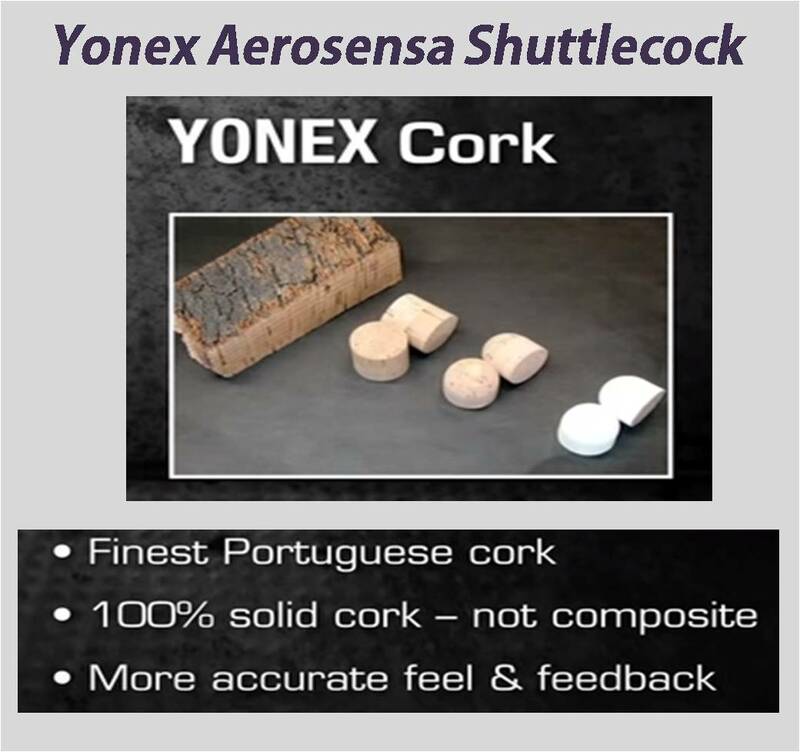 Yonex used Best in Quality Portuguese Cork for head of shuttlecock. 2. Cork is 100% Solid there is not composition on that. 3. 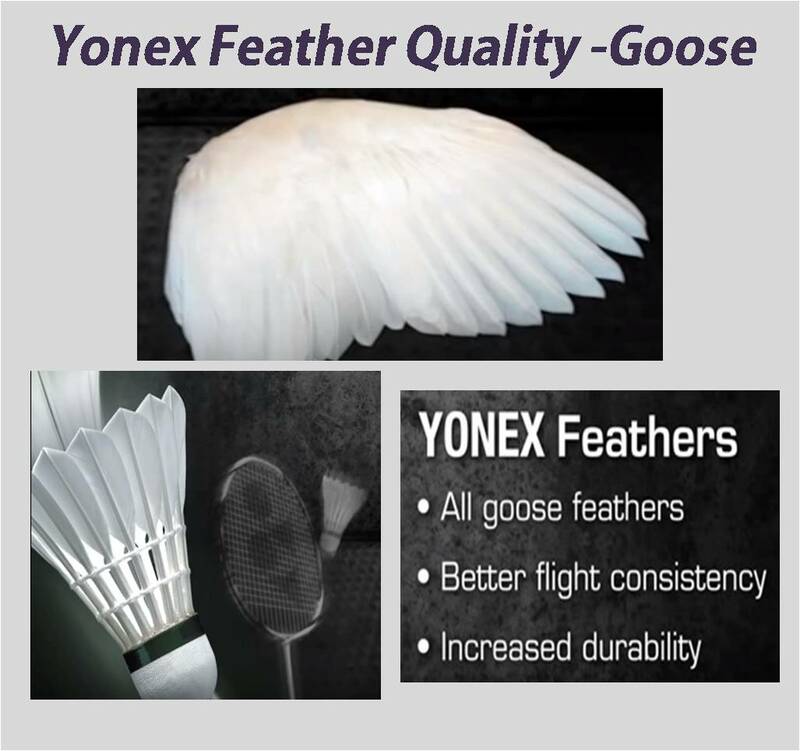 Yonex Used 100 % Goose Feather. 4. 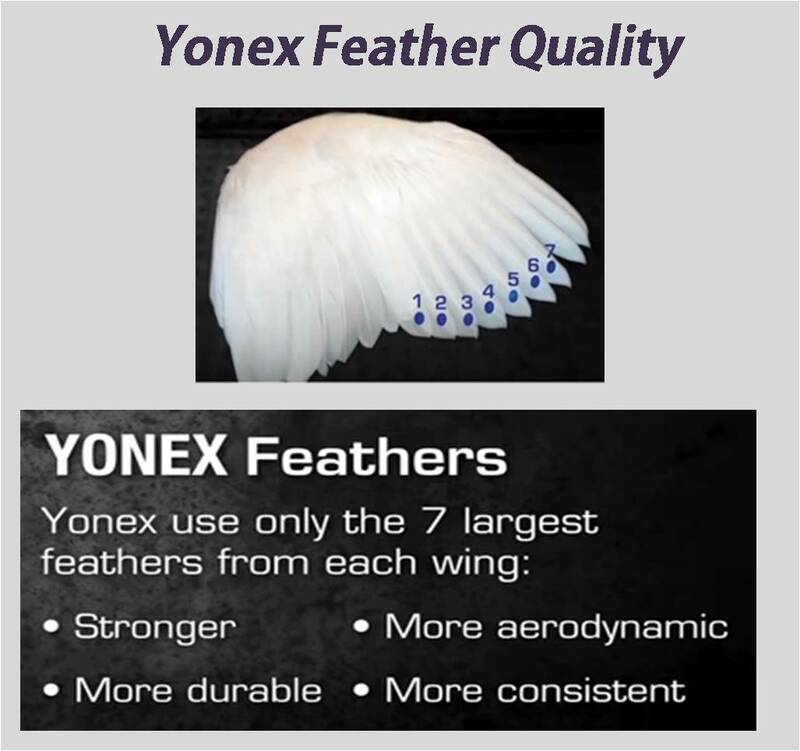 Yonex Used 7 largest feather from each wing to prepare high quality Yonex feather shuttles for tournament level quality. This type of high quality feather from each wing gives stronger, more durable and best consistency each time. 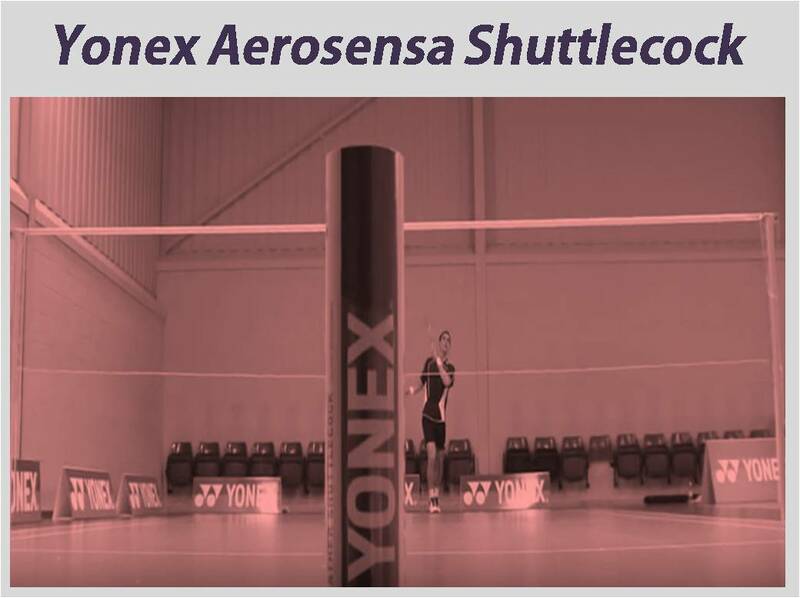 Performance of Yonex Aerosensa : shuttlecocks are consistence as compare to other brand shuttle. When tested the flight on Aerosensa shuttle on court then it show the accuracy of 25 mm drop from target while it comes 75mm for other brand shuttle.